Batelco, would like to remind its customers with Postpaid Mobile Lines to register their lines by visiting any Batelco Retail Shop before the deadline of September 2, 2018. Customers with Prepaid Mobile lines also need to register their lines, with a deadline of March 2, 2019. The TRA (Telecommunication Regulatory Authority) SIM-Card Enabled Telecommunications Services Registration Regulation came into effect on 12th July, 2017. 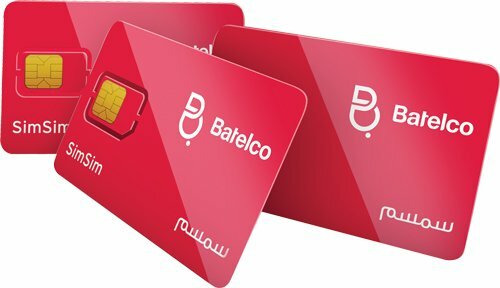 The SIM-card Regulation governs the registration of both Prepaid and Postpaid mobile SIM-cards for all of Bahrain’s mobile operators, including Batelco. The regulation, which applies to consumer, commercial and government entities, states that all mobile customers are required to complete the registration and verification process for their mobile lines. Registration is simple and can be completed at any of Batelco’s Retail Shops by providing the following documents: for Bahraini nationals (valid Bahraini ID (CPR/Smartcard), GCC nationals (valid GCC national ID or valid Bahraini ID (CPR/Smartcard) and Non-Bahraini or non-GCC nationals (valid passport or valid Bahraini ID (CPR/Smartcard). Commercial /Governement entites are requested to provide the following documents: copy of valid Commercial Registration (CR), authorization letter and valid ID (CPR/Smartcard) for the authorized signatory of the entity. Batelco continues to support the efforts of the TRA and works closely with the authority to ensure the delivery of world-class communications services to residents of the Kingdom of Bahrain.